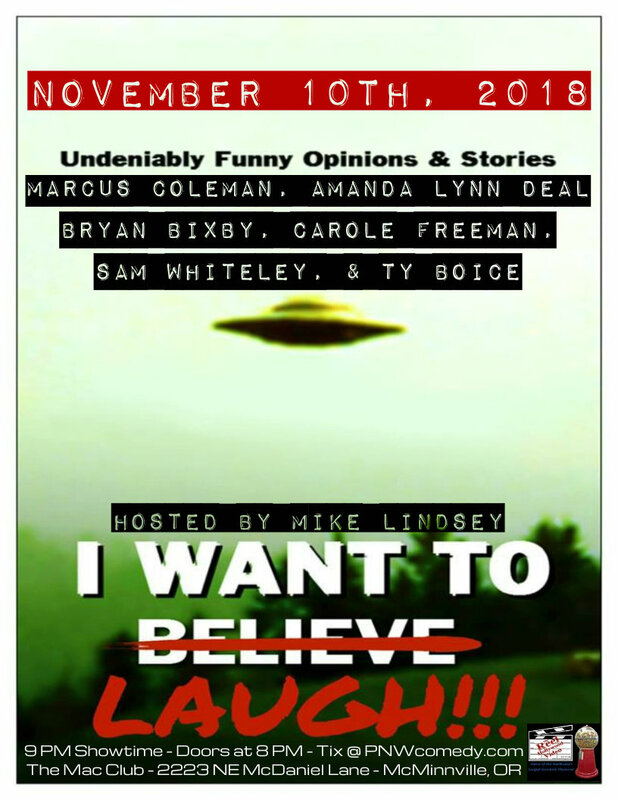 Hosted by Mike Lindsey and featuring Marcus Coleman, Amanda Lynn Deal. Bryan Bixby, Carole Freeman, & Sam Whiteley. Plus special guest Ty Boice! Doors at 8, show starts at 9 PM. As always, we’re at The Mac Club McMinnville and proudly sponsored by the Reel Hollywood Video! 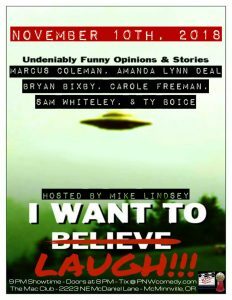 Hope to see you tonight! Show Lineups Subject To Change Without Notice. These Shows Are Meant For Mature Audiences And Often Contain Adult Language & Themes. So Please Come With An Open Mind.